How does your relationship normally function? Most likely, you and your partner get along and are able to thrive together. But what happens when something goes wrong, and one or both of you begin to feel stressed out? When stress enters any relationship, it has the potential to create distance, disagreements and disconnection between you and your partner. 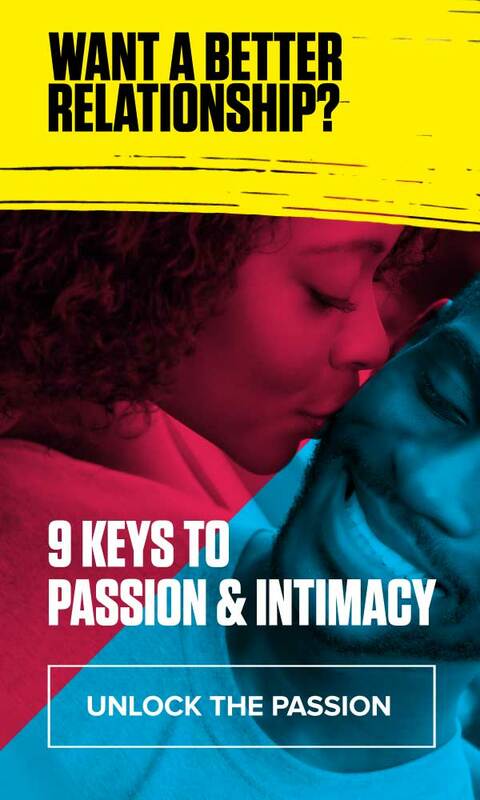 But by supplying a steady supply of support for your partner when he or she is stressed, not only can you learn how to deal with stress in a relationship, you’ll also create a new level of intimacy that actually brings you both closer together. But what about when you’re dealing with a stressed partner? According to a 2012 Florida State University study that examined the role of support in households where daily stress is common to both spouses, not all methods of support lead to positive outcomes. In fact, some reactions can actually make the relationship worse. How does your partner act when they’re stressed? Hectic schedules and everyday work-life demands make it easy to become wrapped up in our own worlds. But when we lose sight of our partner’s stress, then we are not communicating and we are not connecting. This is why it is imperative to make the extra effort to recognize when you’re dealing with a stressed partner. Ask yourself: How does my partner show his or her stress? How do his or her sleeping habits, eating habits, mood, energy levels or disposition change? Women in particular are more likely to report physical symptoms associated with stress than men, which means it may be more difficult to read a man dealing with high stress levels. But by staying in tune with your partner, you will find opportunities to express your support and love, helping your partner endure the demanding times while strengthening your relationship. In this way, figuring out how to deal with stress in a relationship can benefit both of you in the long run. When your partner is undergoing stress, he or she may become aloof or agitated and may withdraw emotionally or even physically. This can leave you feeling lonely and vulnerable, like you’re alone or unappreciated in your relationship. Your instinct in this situation may be to withdraw as well, and to treat your partner the way they are treating you. This will not solve anything; you’re reacting instead of thinking, and punishing your partner instead of supporting them. This only erodes trust and pushes both of you further apart from each other, particularly if it’s a behavior you engage in frequently. Rather than giving in to the desire to “let them see how it feels” and adding to the negative tension within the relationship, take a step back and show some compassion – not just for your partner, but for yourself. By tending to your own needs during these times, you will be stronger, more secure and better equipped to be the anchor that your partner (and your relationship) needs. Paul suggests that if you see that your partner has retreated, you should make the effort to approach them and say something like, “You seem like you’re having a hard time. How can I help you right now?” This will open the lines of communication and let your partner know that they can depend on you for support. During times of stress, our partners want to feel supported without inciting emotion from our side. This can be especially difficult if you have added to their stress. Listening without judgment or immediate reaction will require a tremendous amount of patience, kindness and compassion on your end, but will ultimately help you and your partner develop a more positive way to move forward and build a stronger, healthier relationship. Men and women react differently to stress. One of the fundamental reasons for this has to do with varying stress hormones. When stress strikes, the body releases hormones called cortisol and epinephrine that raise blood pressure and circulate blood sugar level. Oxytocin is then released from the brain, countering the impact of cortisol and epinephrine by relaxing the emotions. Men release less oxytocin than women when they are stressed, meaning they have a stronger reaction from both cortisol and epinephrine. A study published in Psychological Review suggested that this caused women to be more likely to handle stress by “tending and befriending,” that is, nurturing those around them in an effort to both protect themselves and their young. Men, however, release smaller doses of oxytocin, which make them more likely to have the “fight or flight” response when it comes to stress – either repressing their emotions and trying to escape the situation, or fighting back. That in many cases, a woman’s identity and sense of self-esteem are both closely linked to her feelings of adequacy in relationships. So she is likely to appreciate feeling wanted, receiving expressions of comfort and caring, and generally being taken care of. Men, on the other hand, are more invested in performance and competition. So when faced with stress, your male partner may be more receptive to offers of assistance with tasks as well as expressions of appreciation and recognition. Dealing with stress is never easy, but it’s part of life. Even if your partner has consistently been the anchor in your relationship, there will eventually come a time when his or her tank is running on empty and you will be given the opportunity to provide the love and support that is needed. And while you may find it to be difficult to help your partner during times of stress, generating the mental and emotional resources to help your partner will not only create comfort and connection, but a healthy, secure base in the relationship upon which both partners can consistently count on.